94 (6 dead and 88 survivors). At 02.15 hours on 29 Jul, 1940, the unescorted Clan Menzies (Master William John Hughes) was hit aft by one G7e torpedo from U-99 sank sank by the stern after one hour about 150 miles west of Loop Head, Co. Clare. The ship had been spotted five hours earlier and missed with a first G7e torpedo at 02.03 hours. Six crew members were lost. The master and 87 crew members landed at Enniscrone, Co. Sligo. Clan Menzies en-route to Romania, with an aid cargo of military stores for struggling Poland in September 1939. The Polish government bought a significant amount of weapons and war stores in the UK for their defence against the German assault, that begun on 1 Sept 1939. It was agreed to deliver these goods aboard a British vessel (SS Clan Menzies) to Poland, not on the straight route through the Baltic Sea but around Europe across the Mediterranean and Black Sea to Constanta, Romania. The Baltic Sea was completely under German control from the early days of Sept 1939. The load consisted of 15 crated Fairey Battle aircraft, 5000 Hotchkiss machine-guns, 15 million small-arms rounds and 500,000 gas masks. The Clan Menzies (7336 GRT / 1938 / 17½ kn) had left Liverpool on 18 Sept 1939, escorted by the Polish destroyer Blyskawica. On 22 Sept the ships arrived at Gibraltar. Due to the worsening situation of Poland, after it had been also invaded by Soviet troops from the east on 17 Sept, the attempt of delivering the cargo was abandoned. 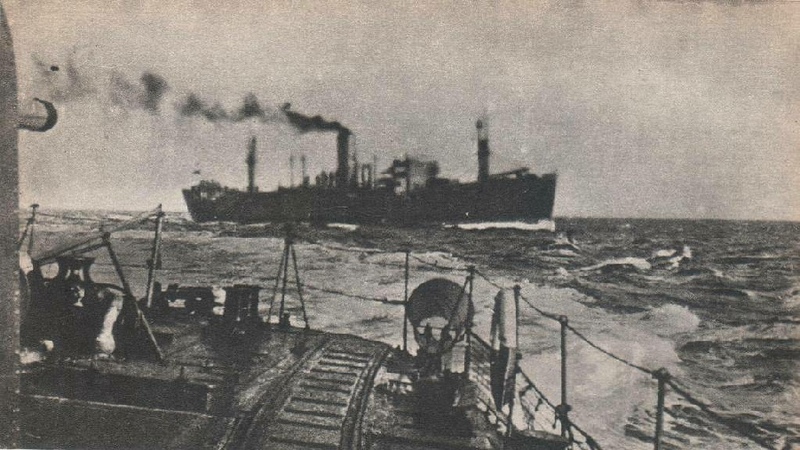 Blyskawica returned to Liverpool on 26 Sept, escorting convoy HG-1, and the Clan Menzies continued for Malta, arriving there on 27 Sept and finally dropping anchor at Istanbul. Eventually the military stores were sold to Turkey. 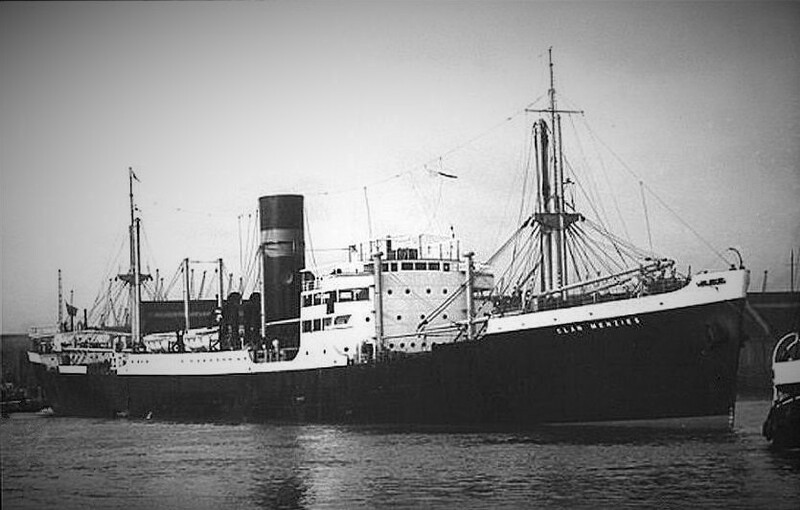 SS Clan Menzies itself was sunk in 1940. She was homeward bound from Sydney, NSW via Panama for Liverpool with a full cargo of 8340 ts of wheat, grain, dried fruit and zinc when she was spotted on 28 July 1940, at about 2100 h, by the German U-Boat U-99. 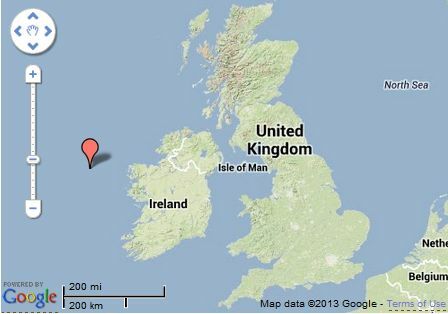 At 0215 h, 29 July, a torpedo slammed into the ship, sinking it about 54°10'N 12°0'W, 150 n. miles W Loop Head, Ireland. 6 crew members died, but 88 more survived and landed at Enniscrone, Sligo.